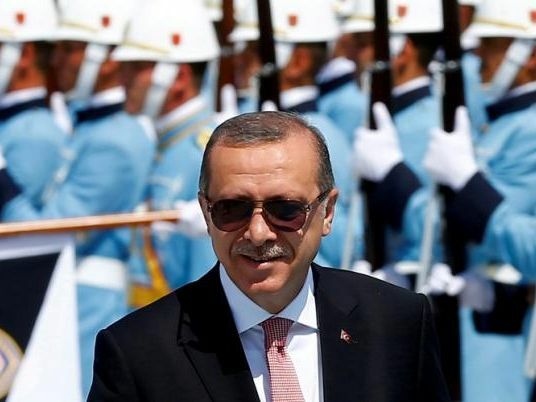 Accusing Brussels of wanting Turkey to abandon its bid to join the EU, Turkish President Recep Tayyip Erdogan hinted in an interview published Sunday he might put the question to a referendum. "The European Union is trying to compel us to withdraw from this (accession) process. If they don't want us they should be clear about this, they should make a decision," Erdogan told the leading daily Hurriyet. "Our patience is not endless. If need be, later, we could also consult our people," he said, alluding to the UK's Brexit referendum in June. Turkey's bid to join the EU dates back to the 1960s with formal talks starting in 2005. But the process has been mired in problems, which current tensions have done nothing to help. Rocky relations between Ankara and the EU became even more strained in the wake of the failed coup in Turkey in July. Since then, some 35,000 people have been arrested and tens of thousands more have lost their jobs — including military officers, judges, teachers, civil servants and journalists — in a sweeping crackdown against alleged supporters of those behind the coup. More than 100 journalists have been arrested while 170 media outlets including newspapers and broadcasters have been closed down, according to the Turkey Journalists' Association. "Some people are saying we should lift the state of emergency. Why would we lift it now?" Erdogan told Hurriyet. On Saturday, the president reiterated that he would support parliament if it voted to restore the death penalty, a move that would further alienate Turkey from its European critics. On Wednesday, an EU report on candidate countries warned that Turkey's "backsliding" on rights since the coup attempt was putting its membership bid at risk. "Turkey has apparently chosen to move away from Europe," EU enlargement commissioner Johannes Hahn said as he unveiled the report. Turkey dismissed the report as "far from objective."